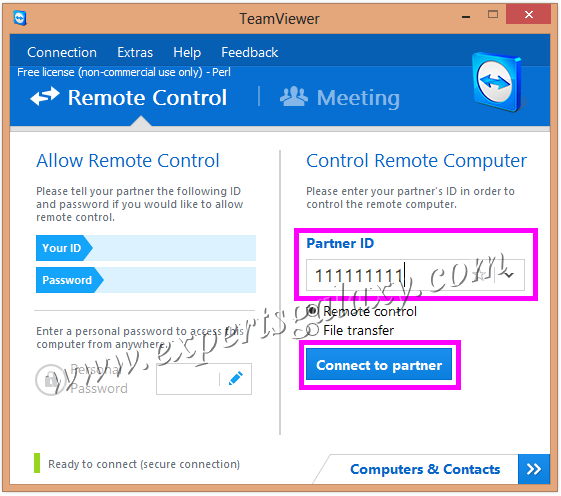 I have used different remote access software while working for different companies and personally as well but among all those TeamViewer is still my favorite one. It has one of the finest interface or we can say that a simple to use GUI that even a newbie can just run and provide the credentials so that the technician can remotely access their system to resolve the computer issues. In many other softwares at times its a hectic task when one needs to ask the customer or the people seeking help to open a browser then go to a website where they need to locate a space to punch in the code provided by the technician. However, in TeamViewer they simply need to download the software and run it to get the credentials displayed on the screen to provide the same to the technician. One can also let them know or send a tinyurl link that was shortened specially for the download of the software to reduce the load of the customer. I always prefer to use TeamViewer on my computers and mobile devices as I can take the remote access on them either using the installed software or can take the remote via any browser window . 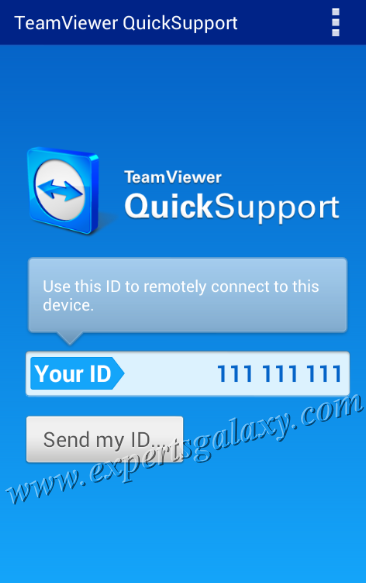 Many of my friends when face an issue in their mobile devices be it related to the settings of the device, I ask them to install TeamViewer Quick App on the device so that I could take a remote connection and sort out the things instead of guiding them over the phone. 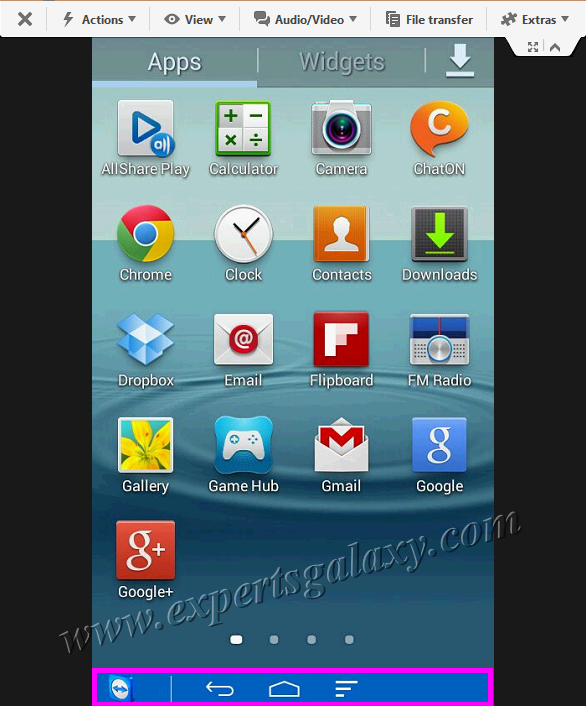 Once the application is installed, open it to get support for your mobile device. You may see a message to install an add-on for the application depending upon your mobile device as shown below. This message did not use to come earlier but as they have extended the application support for other mobile vendors so they have also launched different add-ons. It is recommended to install the add-on if the message comes at the application start up so that you can remotely control the mobile device. After that you would see the main screen of the application with your ID that you need to provide to the person who would be remotely working on your mobile. 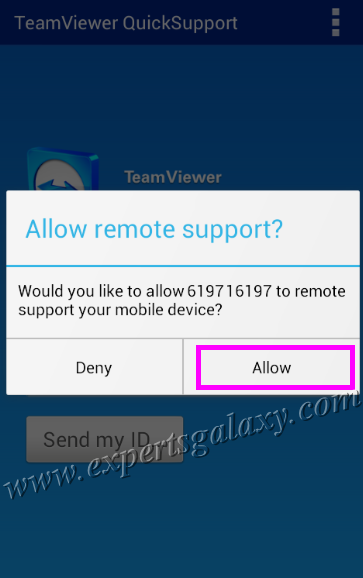 On the mobile device, it would ask if you like to allow remote support or not. 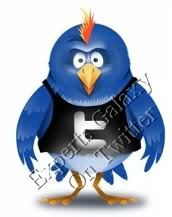 Please click on allow to remotely access your Android or iOS mobile. 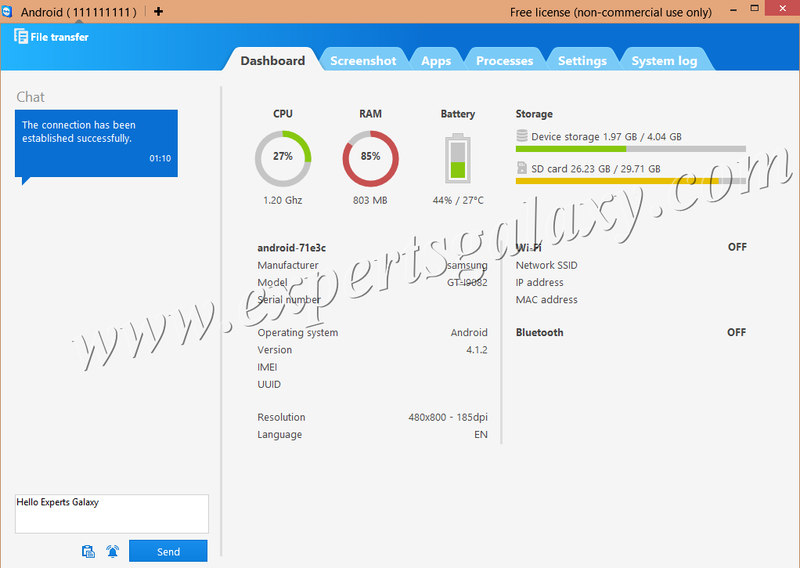 Once connected, you can do file transfer, live chat and many other things using the screen on your PC or Apple machine as shown below however there would not be any remote control option until you install the recommended add-on at the start of the application. 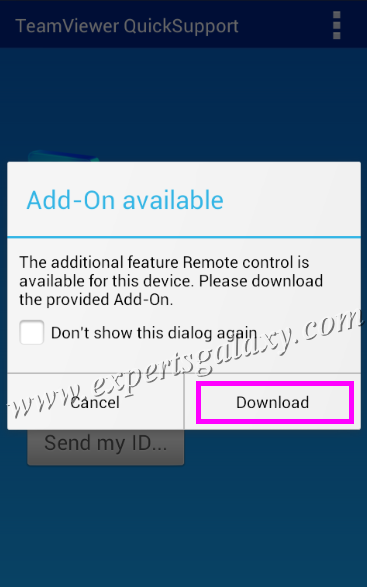 Once you install the add-on then you would see one extra option of remote control. You can click on that to get the remote control of the device however you need to allow the person separately rather once again to get the remote control of the mobile. Isn't it easy and amazing that we can remotely control our mobiles or can troubleshoot our friend's mobile devices with the power of TeamViewer. It provides the flexibility of remote control be it on the computer or the mobiles that you wish to access either using the application or directly from the browser. Because of the different options provided by the company, it is my favorite remote access software as I can remotely access my Linux machine as well. Do you know about any remote access software that provides this much options or flexibility then do let us know so that we can recommend the same to our readers.